Earth, Wind, & Fire has a way of making people of all ages want to dance their hearts out. Famously spanning the musical genres of R&B, soul, funk, jazz, disco, pop, rock, Latin and African — the band's music has been universally loved for nearly 40 years. Here are five of the most famous songs from one of the most beloved groups of all time! 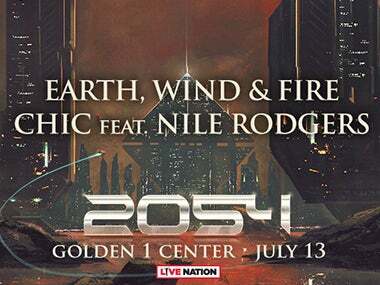 Don't miss Earth, Wind, & Fire, joined by CHIC featuring Nile Rodgers at Golden 1 Center, July 13!